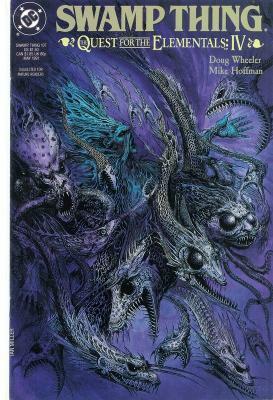 In my last post as the New DC Universe was just launching (Its been a busy couple of months) I suggested that the new Swamp Thing and Animal Man books were calling back to their Alan Moore and Grant Morrison glory days. In fact after reading the first four issues of both it seems they are instead calling back to just after both of those writers left. 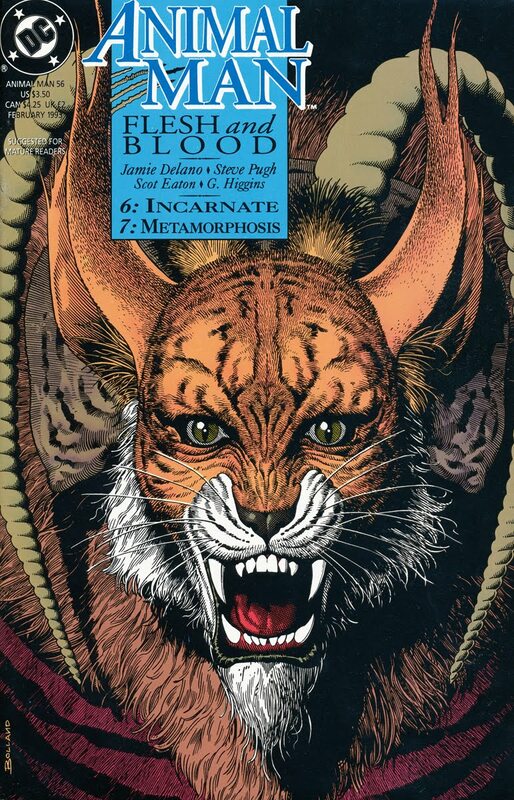 After Grant Morrison left Animal Man the book was given to writer Jaimie Delano who introduced the Red, gave Animal Man a more animalistic appearance and made Buddy and his daughter the avatar/elemental champions of the animal kingdom the way Swamp Thing is for the plant kingdom. This is of course the currently running storyline in the new Animal Man series as well. After Alan Moore left Swamp Thing Rick Veitch continued with much the same thematic approach as Moore until his Swamp Thing meets Jesus storyline was censored by DC (after originally approving the script.) and Doug Wheeler took over. In a storyline that combined with fan backlash over how Veitch had been treated dropped sales to record lows Wheeler created an archetypal foe for the Green that Swamp Thing served, the Grey - the separate fungal world. The resonance with the Rot of current Swamp Thing and Animal Man stories is obvious. I have serious doubts about both of these books now. Making an anthropomorphised villain out of the concept of decay seems to fly in the face of the themes of Moore's run that explicitly recognized death and decay as a natural part of both nature and the Green. When the book suggested a conflict between parts of the natural world, the seemingly never ending 'vegetable wars' story was a conceptual, and sales disaster that the book foundered on. Over in Animal Man, Jaimie Delano left behind the meta fictional conceits of Morrison's later run on the book and used the animal avatar concept to address radical political animal rights and environmental concerns. Echoing an almost despairingly apocalyptic viewpoint from his Hellblazer run Delano's was a challenging read, feverish angry extremes with stretches of bleakness that were almost unreadable. His run was fascinating but ultimately exhausting and disheartening. 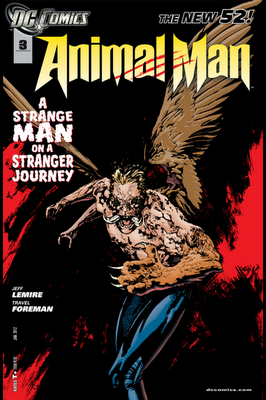 The current Animal Man storyline and that of the new Swamp Thing haven't even mentioned environmental or political concerns except in almost purely comic book monster terms. I wanted to like these books, I really did, but they seem like pale shadows of the characters glory days calling back to old narrative dead ends.